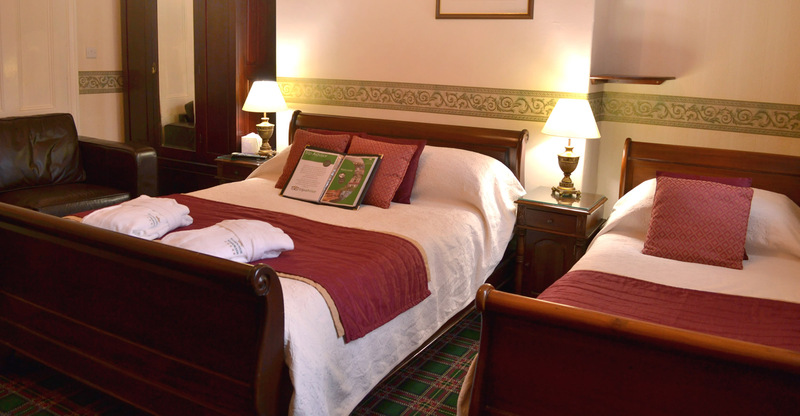 At Mansion House we have 3 family rooms, on different floors, with either a double bed and single, double bed and two single beds or a king size bed with a single bed and double sofa bed. Our family rooms can accommodate between 3, 4 or 5 people. Interconnecting rooms are also available with a double bed and a single bed in an adjoining room. Please specify the number of occupants when booking and any preferred option. Please be aware that unfortunately, we do not have a lift, our Family Rooms range from the ground to top floor. (between 5 and 67 stairs) If you require something on the first/ground floor please call us direct.